Dr. Manoj Choudhary is appointed Senior Advisor for Strategic Affairs to the Board of Directors of GLASS SERVICE, a.s. The dynamic growth of GLASS SERVICE, a.s. (GS) and its affiliated companies F.I.C. (UK) Limited, and FlammaTec, spol. s r.o. over the past 10 years has resulted in the group of companies having 100 employees with a consolidated turnover of over 20 million Euros in 2017. This group of companies provides engineering services and products to the worldwide glass industry with offices and representatives in more than 20 countries. The growth of the GS group of companies and their latest developments in technology have simultaneously created great opportunities and challenges to provide excellence from GS in all sectors. These include the exciting new technologies from Industry 4.0, including new optical systems and sensors, advancement of electric melting systems, combustion technology developments, and advancements relating to legislation pressures to reduce the CO2 emissions footprint. In order to best respond to this tremendous opportunity, GS is pleased to announce partnership with Dr. Manoj Choudhary. Dr. Choudhary will serve as the Senior Advisor for Strategic Affairs on the GS Board of Directors. Dr. Choudhary’s professional interests include development of innovative materials processes and products through the application of engineering fundamentals, physics, chemistry, materials science, and advanced computational approaches. He worked at Owens Corning’s Science and Technology Center in Granville, Ohio, USA, during September 1982 – March 2018 and was a member of its Senior Technical Staff. He laid the foundations for advanced computational fluid dynamics (CFD) based simulation of several key materials processes at Owens Corning (OC), including glass melting and polymeric foam extrusion. His contributions were at the core of some of the most significant glass and polymer process technology and product developments in OC during the past 35 years. He has authored over 60 technical reports in OC, published 57 papers, and holds 10 current and pending patents. Dr. Manoj Choudhary is the President of the International Commission on Glass (ICG). He obtained his Sc.D. in Materials Science and Engineering from Massachusetts Institute of Technology. He is a Fellow of the British Society of Glass Technology, and a Fellow of the American Ceramic Society. 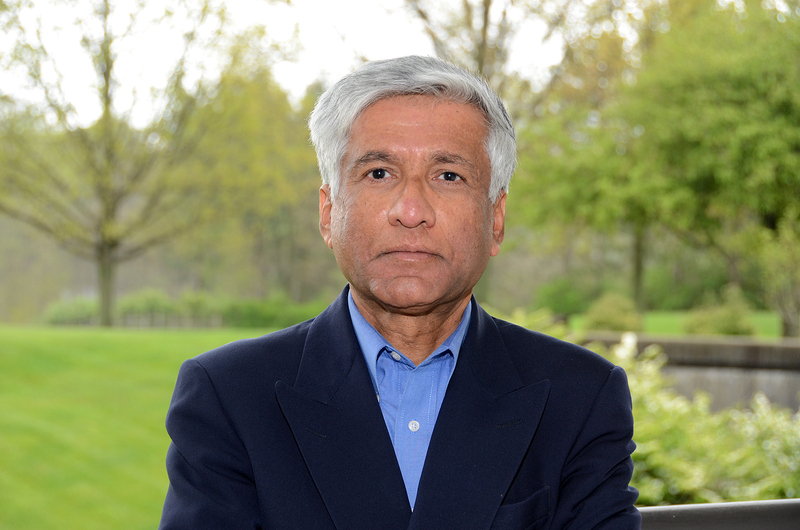 Besides the ICG, Dr. Choudhary has presided over several professional organizations including the Industry-University Center for Glass Research at Alfred University, the Glass and Optical Materials Division of the American Ceramic Society, and the Glass Manufacturing Industry Council, of which he was also a founder. He is a member of the Board of Trustees of the American Ceramic Society and a Specially-appointed Professor of China State Key Laboratory of Advanced Technology for Float Glass.